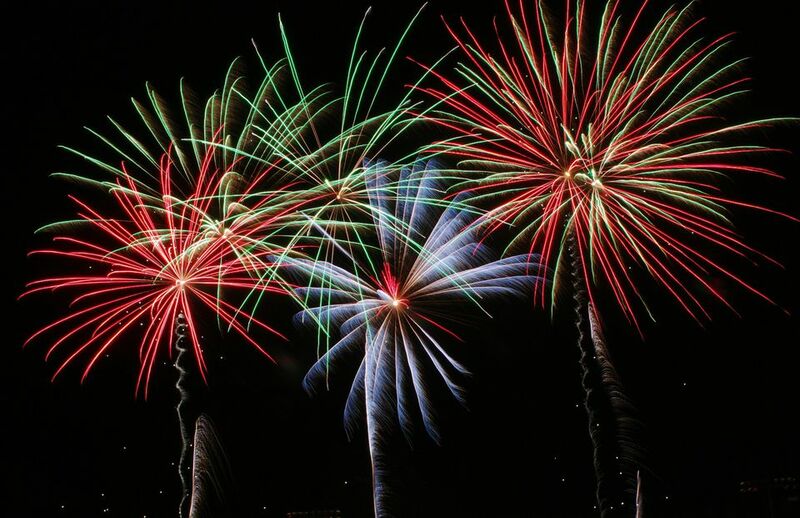 On July Fourth the city of Rockville, Maryland, celebrates America's birthday with music and a huge pyrotechnics show. Fourth of July fireworks are presented by the mayor and council of the City of Rockville at Mattie J.T. Stepanek Park in King Farm with musical entertainment by well-known musicians. The family-friendly celebration of Independence Day draws a large crowd from around the region. When you go, bring chairs, blankets, food, and beverages. The live music and fireworks are viewable from the park grounds. Portions of Stepanek Park are closed for the event. Dates and times for the closures are posted in June. The schedule is similar each year. There is ample free parking (with convenient exits) within a short walk of the fireworks viewing areas. Parking lots border Shady Grove Road, Gaither Road, Choke Cherry Road, and Piccard Drive by the park. Expect road closures—Rockville police and signage will guide traffic to and from the designated lots before and after the event. Visitors are encouraged to exit onto main roads such as Route 355 and Shady Grove Road. There is no parking allowed in the King Farm neighborhood. Food and beverages will be available for purchase. You can bring your own food, but no barbecuing or open flames will be allowed in the park. There will be a first aid tent on Piccard Drive for minor injuries. This location doubles as the lost child recovery area. The dog park will be closed from July 3 at 7 a.m. to July 5 at 9 a.m. and there will be limited access to certain parts of Stepanek Park from July 1 to July 4. The fireworks safety zone, which includes the football fields, tennis courts, playground, and parking lots will be closed July 3 to July 4. Located 17 miles from Washington, D.C, Rockville is considered a part of the Washington-Baltimore metropolitan region. The city is home to numerous software and biotech companies as well as several federal government institutions. The city also has several upscale regional shopping centers and is one of the major retail hubs in Montgomery County. Stepanek Park is located in King Farm, which is a planned residential community within Rockville, Maryland. If you are looking for different festivities on the day of July 4, you might want to consider a jaunt into the nation's capital for the mother of all Independence Day celebrations along Constitution Avenue on the National Mall. Festivities end with a spectacular display of fireworks over the Washington Monument. There are dozens more Independence Day celebrations throughout the Baltimore-Washington metropolitan region.